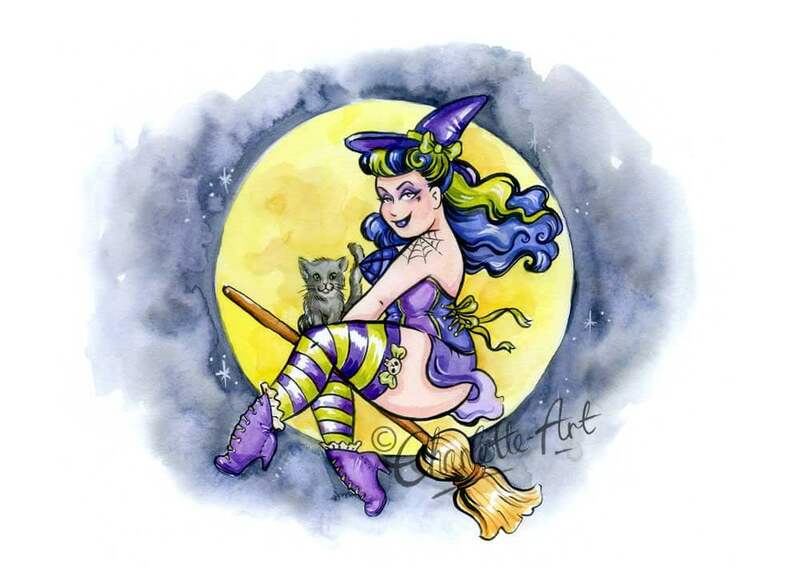 Hallowe’en, or Samhain to my beautiful witchy friends, has always been my favourite time of year. Even when it wasn’t a big event in England my Mum would always throw a party for me and my friends with gross food and spooky party games. We continue this tradition by decorating our front garden for all the Trick or Treaters and I always try to find time to do a piece of spooky art once a year! So here is my curvaceous witch, out of an evening flight! Above is part of the original sketch I drew up and below is the finished painting in pen and ink and watercolour. I hope you like her! 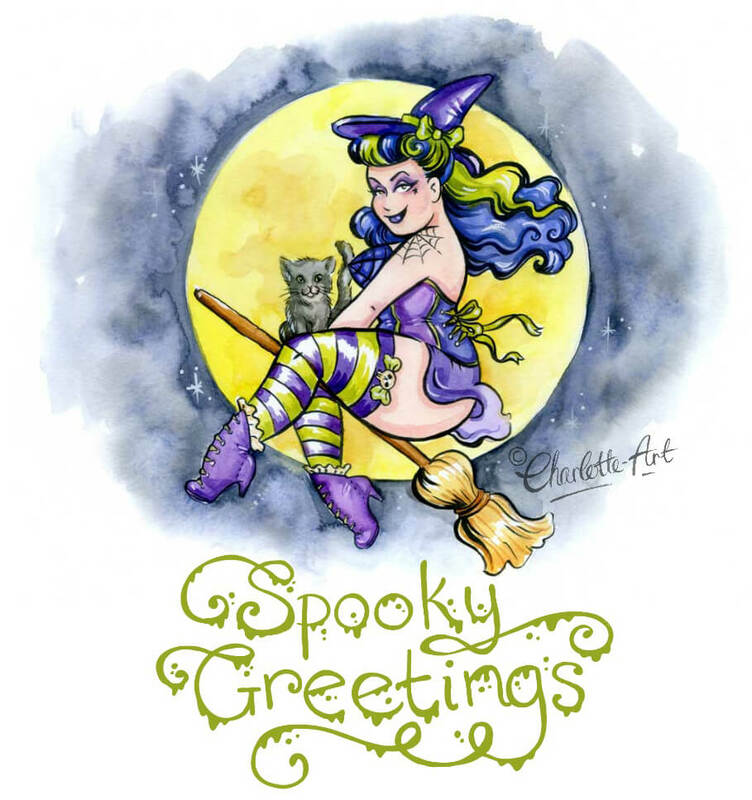 Have a wonderful, spooky and fun Hallowe’en whatever you do!